The mobile gaming market continues to grow with a new game that caters to fans of the highly successful Draw Something. Let’s Sing follows the same collaborative spirit of Draw Something by challenging friends to guess what song the other is singing. It is currently only available for iOS, but we’d expect makers Lex Friedman and Marco Tabini to come out with a port for Android if they truly want to reach critical mass. It will be interesting to see how folks record themselves singing in public. 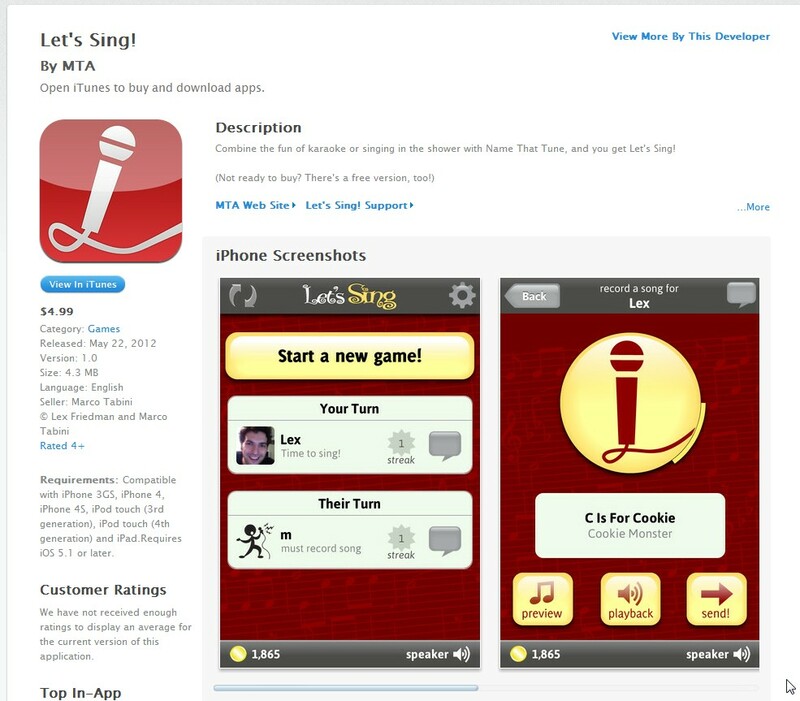 This entry was posted in Games, Mobile and tagged ios, Let's Sing on May 23, 2012 by Mark Azali.